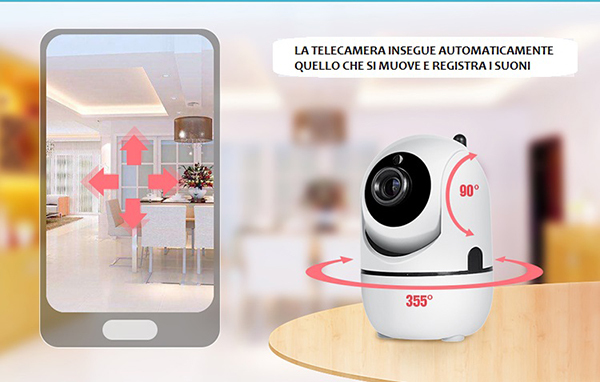 TELECAMERA MOTORIZZATA IP WIFI INTELLIGENTE! DOTATA DI "AUTOTRACKING" CHE CONSISTE IN UNA PARTICOLARE ED IMPORTANTISSIMA FUNZIONE, IN CUI LA TELECAMERA SI CONCENTRERA' SU UN OBIETTIVO IN MOVIMENTO, INIZIANDO DUNQUE A SEGUIRLO AUTOMATICAMENTE, TOGLIENDO DI CONSEGUENZA IL BISOGNO DI INSTALLARE PIU' TELECAMERE! 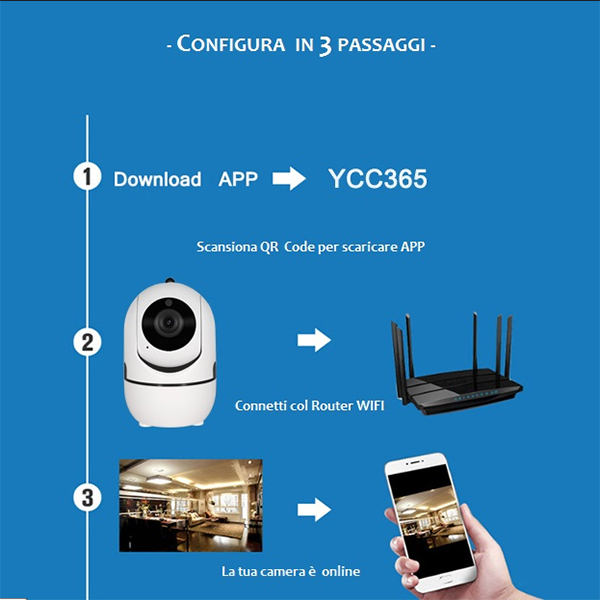 QUESTA PRATICISSIMA TELECAMERA E' FUNZIONANTE COLLEGANDOLA SEMPLICEMENTE VIA WIFI, SENZA BISOGNO DI PARTICOLARI E DIFFICILI INSTALLAZIONI! INFATTI UNA VOLTA COLLEGATA VIA WIRELESS AL VOSTRO SMARTPHONE POTRETE GESTIRE, TRAMITE L'APPOSITA ED INTUITIVA APP, TUTTE LE SUE FUNZIONI! 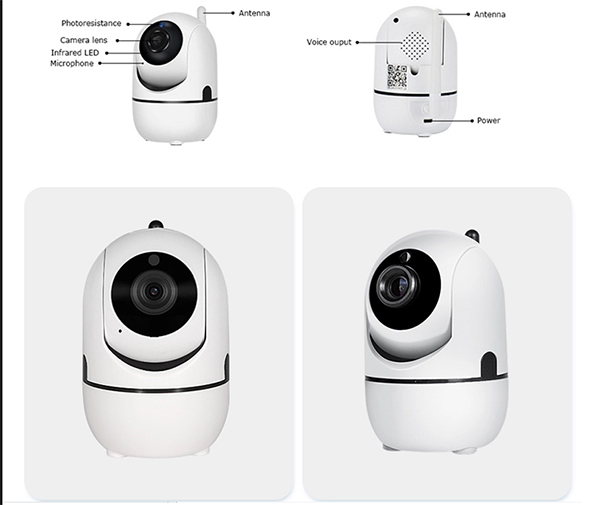 E' ANCHE POSSIBILE VISIONARE LA CAMERA SU PC TRAMITITE SITO WEB. LE SUE SVARIATE FUNZIONI ESAUDIRANNO TUTTE LE VOSTRE ASPETTATIVE!!! E' POSSIBILE SALVARE SUL VOSTRO CLOUD TUTTE LE REGISTRAZIONI, ANCHE IN VISIONE NOTTURNA! DAL VOSTRO SMARTPHONE O PC POTRETE CONTROLLARE ANCHE LE VISUALI CON UNA ROTAZIONE DI BEN 360°!!! E' POSSIBILE CONTROLLARE DA REMOTO ANCHE AUDIO, MICROFONO E SALVARE SU CLOUD E SU SCHEDA MICRO SD (NON INCLUSA), UNA VOLTA INSERITA NELL'APPOSITO SLOT!! Protocolli di rete TCP: / IP, UDP, DNS / DDNS, SMTP, UPNP, DHCP, HTTP, ecc.